So I know I said the thing about the not hoarding any more machines. Sigh. 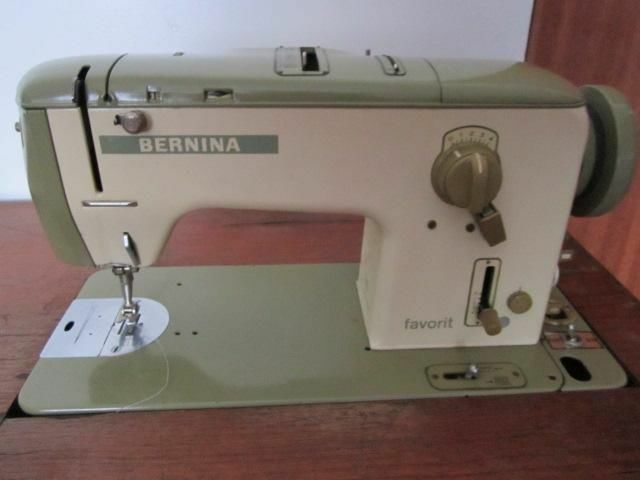 But then I saw a machine like this, a Bernina 740 favorit, on ebay for super cheap listed by someone who seemed very grandmothery and knowledgeable and loving to her machines and could not, for the life of me, resist buying such a rare and well cared for piece. (image source) I realllly shouldn’t be spending more money on something I don’t need (I can hear the lifepartner now: ANOTHER sewing machine??!?) but I look at these as something like investments, in that I can love them and use them and learn with them but pass them on to other hands if I choose to some day and they probably will still be worth something after my heavy usage. Vintage sewing machines certainly don’t seem to be devaluing, especially high end models; reading sewing blogs from 5 years ago discussing the pricing makes this pretty obvious. And if I can actually apply skills I’ve taught myself to repair them, so much the better for the potential return on my “investments,” should it ever be possible to pry one from my clutches. Berninas are held in high esteem by people all over the interwebz, but I’ve never tried one. I was drooling over a few Record 530, 630 and 730 models for a few months, but the Husqvarnas I’ve been trying vainly to fix really turned me off on anything with plastic innards and tight, enclosed motor free arm body styles. The beautiful thing about the Favorit models is that they are a) flatbed, meaning I can access the lower mechanical parts easily for cleaning and oiling, and b) at least some of them have an externally mounted motor, making for easier belt replacements if needed and even motor replacement if it came to that. The ebay description claimed an all metal construction, so I’m hoping that’s correct, as at least the 730 Record models have plastic parts (cam gear, etc) that do eventually wear out. c) It’s 60slicious. That cream and avocado color scheme. That font. Those curving lines. Why are contemporary sewing machine designs so inattentive to sheer visual pleasure?? This is fun to look at. 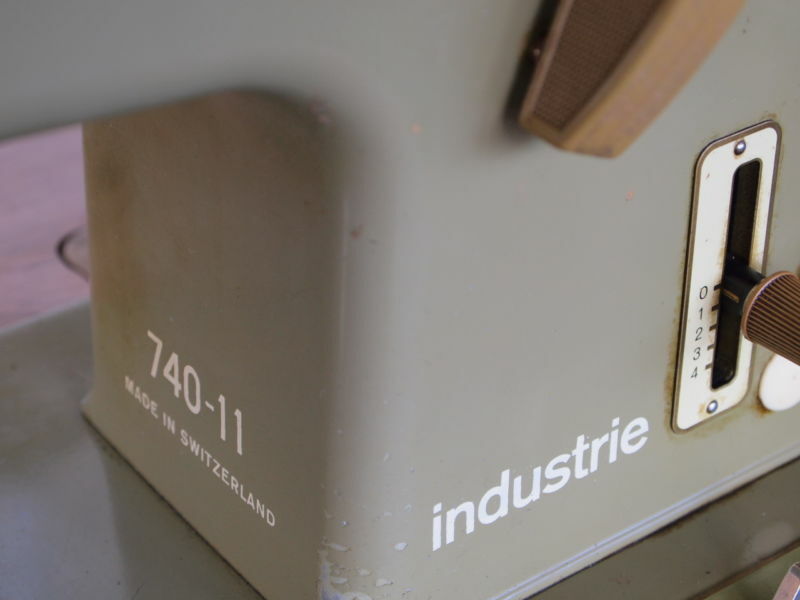 I have seen 740 Favorit and 730 Industrie models, but am not sure what the difference is in the construction. The motors for the industrie ones are enormous and mounted below the machine, and I’m not sure how the sizes compare. But I will enjoy investigating! So of course I had to seek out a manual, and was happy to find that Bernina has a page devoted to out of print manuals. (bernina manuals) The translation is clumsy, but it’s kind of part of the charm. The manual for the 740 is (here). The ol’ girl should be arriving around Christmas time, which means I’ll be enjoying this new baby over some spiked eggnog. Can’t wait! Previous Post Sewing Projects: The Caftan Experiment. I have seen these for sale on Ebay or Etsy–you might try there. An original is probably machined more precisely and will work better than a contemporary, usually Asian made one, but the latter will certainly do in a pinch. I’ve seen them run anywhere from $20 to $60+ though, depending on the manufacture date (older ones are more expensive). If you search for “bernina favorit bobbin case” or “bernina 740 bobbin case” it should pull up whatever is out there. I find Etsy to be more helpful in terms of knowledgeable sellers who are willing to help you find what you need and who actually sell quality products, though. Good luck! I have a vintage Bernina Industrial flatbed sewing machine Model 740-11 with all the original parts and manuals which my Nanna purchased 4/4/1970 – 45 years ago. I have kept her serviced and love using her, she still goes like a gun but I have down sized and I’m thinking of selling her, does anyone have any idea what I should sell her for? It will break my heart as there are so many memories sitting with my Nanna as a child watching and helping her as she and her best friend started up the first children’s high fashion shop Banbury Cross that sadly no longer exists – what to do! Hi Amanda, thank you very much for your input. 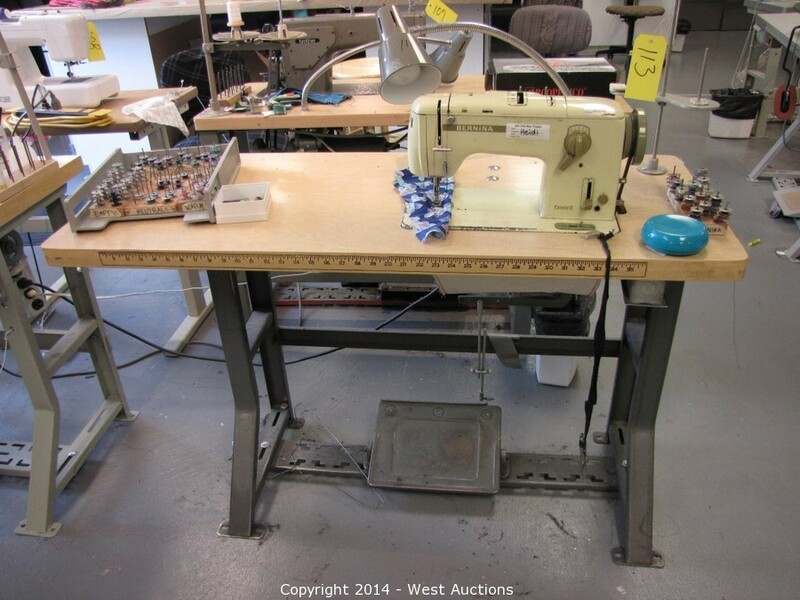 I’ve seen machines like mine (it’s set into a table) going for sale between $250 to over a thousand! And as you said just for all the accessories they alone can go for a couple of hundred dollars. Sadly I do have to sell her but she will have to be picked up as she is just too heavy, I’ve decided to sell her on Ebay offing a price with and without the accessories and I will see how I go. Thank you for your advice and support, if you know of anyone looking for a machine like mine down on the Mornington Peninsula please pass on my email address. Best of luck to you! I hope it goes to a good home and that you get a great price for it. If I hear of anyone who is looking for one, I will send them your way! Hi, I’d recommend checking ebay and etsy.com for possibilities, or Ray White’s sewing center (http://www.whitesewingcenter.com/index.php) for proper Bernina parts. But if you have an externally mounted motor, any generic replacement motor can be used, and they often come with a pedal.